Looking for a password recovery utility to recover forgotten passwords? Download Cain and Abel Free for Windows 10, Windows 7, Windows 8 and Windows 8.1. Cain & Abel (also abbreviated as Cain) is a software used for password recovering. It is available for the Windows Platform or other Microsoft Operating Systems (OS). Cain and Abel are programmed and maintained by the Massimiliano Montoro and Sean Babcock. 1 What is Cain and Abel? 6 My Experience with Cain & Abel and Is It Safe? It is used for recovering many types of passwords by using the following methods: network packet sniffing, brute force, cracking passwords using dictionary attacks and cryptanalysis attacks. The Cryptanalysis attacks are performed by the Rainbow Labels which can be produced with the help of winrtgen.exe program which has been provided within the Calin & Abel. Read: Nessus Professional Vulnerability Scanner Download. Cain & Abel is developed to help the security consultants or professionals, network administrators, forensic staff, professional Penetration tester, security software vendors and all the people who have the plan of using it for the ethical hacking purposes. But to tell you that the author of this program will not support or help the persons who have done any illegal activity with the help of this tool. There is also another warning that there is the chance of having several damages to your computer or you might even lose your personal data by the use of this software. The creator of this tool cannot be blamed if you face any sort of problems by using this tool for the password recovery of your Operating System. Also, read the license agreement and Terms & Conditions included within the tool before using it. Cain & Abel is a totally free windows password recovery tool. It is totally different from the other password recovery tools which are not so much efficient as the Cain & Abel Password Recovering Tool. It is a totally free and fast tool but you have to install this tool on the computer by using a working user account. A good alternative to Cain & Abel is THC-Hydra. If you have the access to the account of your PC, then you just have to simply download the Cain & Abel tools and use it for recovering the password of your installed version of Windows. 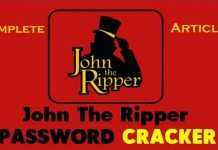 Read also: John The Ripper Password Cracker Free Download. The latest version of this particular tool is much faster and it also contains a whole lot of new and updated features like the Arp Poison Routing (ARP) which turns on or enables the option of sniffing the switched Man in the middle Attacks and Switched LAN’s. The sniffer included in this version can also analyze the encrypted protocols of your internet such as HTTPS and SSH-1, it also contains filters used to capture credentials from a wide range of the authentication mechanisms. The new version also supports the monitors for the ships routing protocols authentication and brute force crackers for all common hashing algorithm and also for the many different specific authentications, dictionary and routes extractors. The common hashing algorithms also consist of the password or hash calculators, password decoders and the cryptanalysis attacks. Now we are going to discuss the Pros and Cons version of this amazing password cracking tool named Cain & Abel. This password recovery tool is completely free. There are several methods which can be used or employed to crack the passwords of your windows. The password recovery time is really fast, I have personally tested this software and it has always responded with great recovery time. This version of the Cain & Abel requires a separate file of “Rainbow Tables” downloaded from the other sources online from the internet. This program should be downloaded and installed over the hard drive, just like all the other password recovery tools. This program or tool must have access to another administrator account available or in use on the computer. 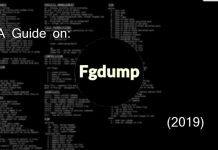 There are varieties of all the other built-in hacking tools within this program which can be used for different types of hacking. This version does not work on the windows 10, 8, 7 or Vista. Cain & Abel password cracking tool is capable of recovering up to 99.9% of the passwords from any Windows account. 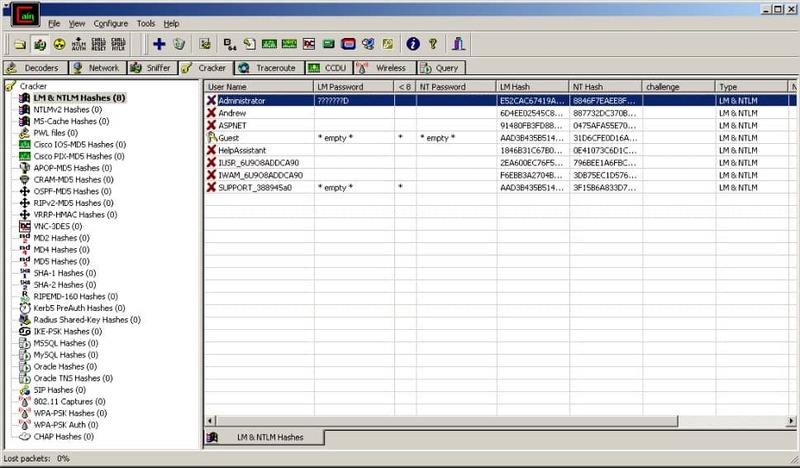 Cain & Abel password cracking tool can crack many types of passwords with the addition of cracking the Windows password. 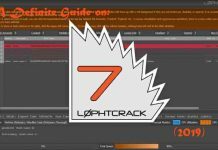 There are several different techniques or a different method for recovering passwords is available which makes this a really versatile and efficient password cracking tool. This particular software or tool only works with the Windows XP, Windows 2000 and Windows NT. Also read: ESET NOD32 Antivirus 2019 Free Download (1-Year Trial). My Experience with Cain & Abel and Is It Safe? I used this tool only once in my life when I forgot my windows account password and I had a lot of personal data saved in the documents folder of the windows. I came to know about this software after a long time searching over the internet. It actually worked perfectly for me and I used that copy of windows for many years and it worked perfectly for me. Read also: Norton Antivirus and Internet Security 2019 Download Free (1 Year Trial). In this article, we discussed the amazing software which can be used to crack passwords named “Cain & Abel”. We also discussed mostly all of the versions and we also talked about the latest version of this particular tool. As I have mentioned before that before installing and using this software you must read the License Agreement of this software or tool carefully because there is a lot of chance that you might lose your data and then the authors of this tool are not going to be responsible for it. I have also mentioned all of the new features which have been added in this software by its authors. We also briefly discussed the advantages and the use of these new features. I have also provided you the download links according to the different version of windows you can select any type of windows version which you are using. The official site is named oxid. Cain and Abel Free Download is now available for Windows 10, 7, 8/8.1 below! Cain & Abel is in no doubt the best password cracker/recovery tool available for free download! It can crack the hardest passwords within hours or minutes! Highly recommended to install and give it a try. Is Cain and Abel Safe?